The VGACOMP-IS is an intelligent stand-alone scan converter that accepts VGA signals at up to 1920×1080 and converts them to broadcast quality PAL/NTSC/RS-170 composite video. The VGACOMP-IS features high speed analog signal digitization, video scaling, frame rate conversion and a timing generator. Processing and scaling is performed in the digital domain for maximum quality before the video data is sent to a digital video encoder for conversion to broadcast quality composite PAL/NTSC/RS-170. This provides seamless and automatic conversion of progressive analog VGA to PAL/NTSC/RS-170 composite video. 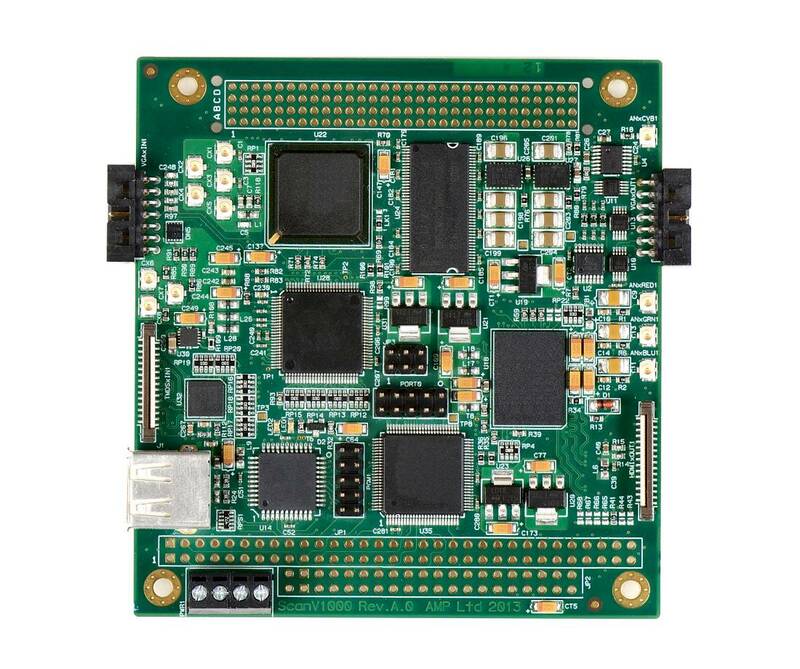 The VGACOMP-IS is an intelligent stand-alone device with it’s own on-board MPU and does not require a host CPU or any driver software. For mechanical convenience the module can be mounted on a PCI-104 stack without consuming host CPU resources.